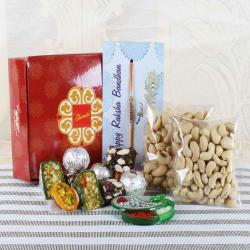 When it comes to choosing the rakhi gifts for your brother, then you can explore a vast range of Complete Hamper of Rakhi for your Bhai. 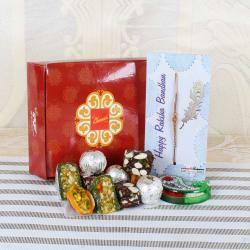 The online site is the right place to buy this gift item for your brother. 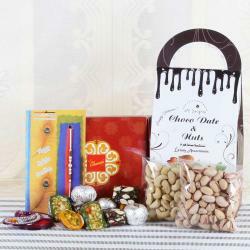 There is a plethora of option to choose the best and suitable one for your brother. 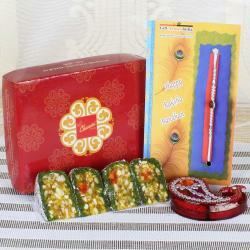 It can match with a thread of Rakhi, and you can deliver it to your brother as soon as possible before the occasion. You can send it to your sweet brother with the perfect message about the Raksha Bandhan day that enhances your relationship more. 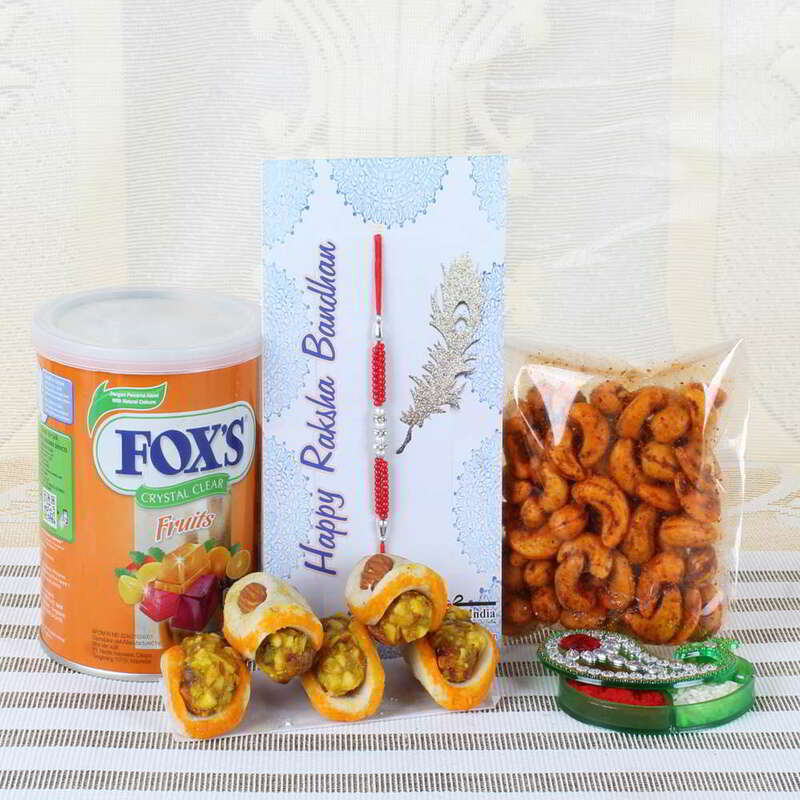 Product Consists of: Badam Tacos Sweets (Weight: 200 gms), Masala Cashew (Weight: 100 gms), Fox Crystal Clear Fruit (Weight: 180 gms) Colorful Pearl with Diamond Ring Rakhi along with Roli Chawal Container.